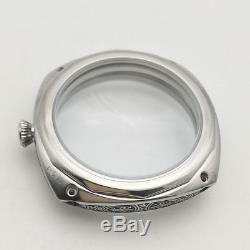 Description Case Material: 316L polished stainless steel case wire drawing, sculpture black pattern Bezel: Polished Case Size: 47mm without crown Case Thickness: 14.8mm Lug Size: 26mm Crown: Screw Back: Screw Case Glass: mineral glass Adapted to fit: ETA6497,6498, ST36 (Seagull) Suitable Dial: diameter 38.2mm - 39.8mm, 0.8mm thickness Water resistance: 100 meters (according to the assembly process) Movement: fit for ETA 6497/6498 movement Items include all parts of the picture. 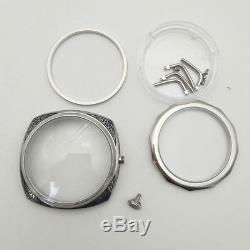 All items are checked and packed in good condition before dispatch. We believe in the timeliness of customer service, and will do everything possible to satisfy our customers. Thanks for looking and happy shopping! 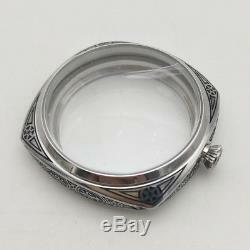 The item "Polished watch case 47mm steel black carving Florence eta6497/6498 MOVT" is in sale since Friday, March 16, 2018. 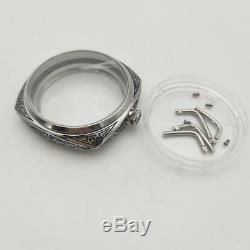 This item is in the category "Jewelry & Watches\Watches, Parts & Accessories\Parts, Tools & Guides\Watches for Parts". 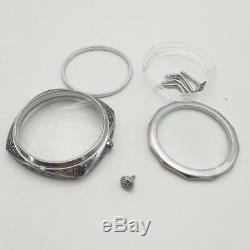 The seller is "ent8249-12" and is located in Guangzhou. This item can be shipped worldwide.